When it comes to creating a dynamic, influential music ministry, it is safe to say that Hillsong Australia clearly leads the way, and continues to set the bar high for the rest of the world. Ever since The Power of Your Love, the Australian church’s first live worship album, was released in 1992, Hillsong’s music has influenced and changed the face of praise and worship like few others before or since. Typically, Hillsong’s music groups involve a revolving group of musicians and vocalists, with albums released yearly. Most of the groups’ songs are collaborative efforts. 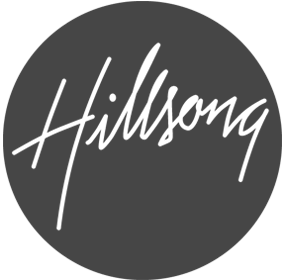 Here are the five most well-known Hillsong music groups. WORSHIP. Formerly known as Hillsong Live, Hillsong Worship releases songs intended for congregational use in churches worldwide, and is responsible for some of the most popular worship songs of this generation, including Shout to the Lord, written and sung by former worship pastor Darlene Zschech; Power of Your Love, written by former worship pastor Geoff Bullock, and Mighty to Save, written by worship leader Reuben Morgan and winner of the 2009 Dove Award for Worship Song of the Year. “Shout to the Lord” by Hillsong Worship is still one of the most influential worship anthems, almost 20 years after its release. UNITED. Hillsong United is a worship band that originated as part of Hillsong, writing and performing songs for Hillsong and their own discography, as well as creating youthful rearrangements of selected Hillsong Worship songs. They are responsible for some of Hillsong’s most enduring praise anthems, including One Way, and their latest album, Zion, has had a runaway hit with “Oceans,” which has spent 44 weeks at number one on Billboard’s Christian Songs chart (and is still number one as of this writing). UNITED’s “Oceans” is the song that has spent the most weeks at #1 in Billboard Christian Songs history. KIDS. Hillsong Kids and Hillsong Kids Jr. are two music ministries geared towards the next generation. The groundbreaking Jesus You’re My Superhero re-energized praise for music for children, continuing a cherished tradition of bringing the gospel to children, including great names like Psalty and VeggieTales. Hillsong Kids Jr. recently launched – 2011, to be exact, and Funny Man Dan became quite popular amongst the preschool set. The Greatest Commandment from “Crazy Noise” takes a Bible verse virtually verbatim and sets it to music. CHAPEL. Hillsong Chapel’s niche is a more reverent, gentle kind of interpretation for Hillsong’s ever-growing discography. Known for more worshipful, contemplative arrangements, with acoustic arrangements the order of the day, Chapel’s two albums – 2010’s Yahweh and 2012’s Forever Reign, were commercially and critically received. You’ll Come, a Hillsong chestnut, was given a remarkably poignant rearrangement by Hillsong Chapel and performed in an actual church. YOUNG AND FREE. The most recently formed musical group of Hillsong, Young & Free takes its name to heart by producing high-energy praise anthems that take a page from the current electronic dance music trends of the day. The end result is a young, joyful celebration of life and God’s love that is unlike anything else on Christian radio today. Wake, the second single of Young & Free, cracked the Billboard Christian Songs top 20. ← Are You Healthy or Fat?